Upon your arrival at the airport/ railway station, meet our representative awaiting you outside. 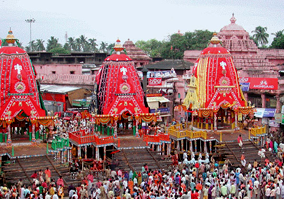 Later at the hotel our representative will brief you about tour itinerary for fabulous Orissa tour. The charisma of Orissa is inescapable its green valleys, golden beaches and beauteous hills grows on one’s mind leaving behind impressions for a life time. On arrival in Bhubaneswar, the renowned Temple City of India, one can have glimpse of gorgeous temples which flowered in ancient times. Sightseeing tour will begin with a visit to twin hills of Khandagiri & Udayagiri. In the vicinity you will witness awe inspiring temples and carved out caves including Jain Temple & Elephant caves, Lion Cave, Queen Cave etc which date back to first century BC. Next you will head for a visit to Bhubaneswar’s famous temples constructed between 7th to 13th centuries. 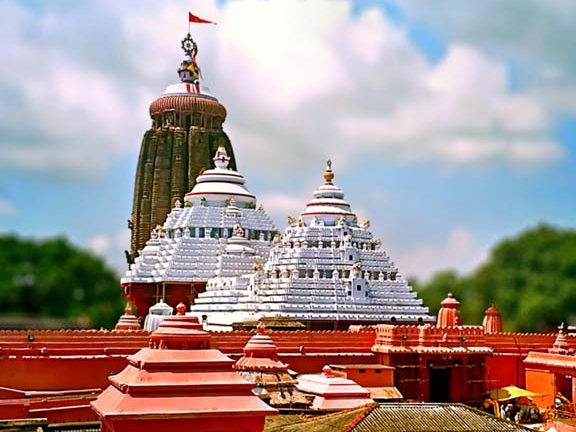 The famous temples to be visited today will include Lingaraj Temple, Mukteswar Temple, Parsuram temple, Rajarani temple, Kedargouri, Bindusagar etc. After an eventful day return to your hotel for overnight stay. The day will bring a drive to sea-shore beauty; Konark and en-route make a visit to Dhuali Peace Pagoda constructed in 14 century. Also visit Pipili which is known for appliqué work on the way. Finally on arrival at Konark visit a UNESCO World Heritage Site- Sun Temple which is a fabulous specimen of architecture of the Kalinga style. Other sites worth visiting in Konark are Chandrabhaga confluence of river Chandrabhaga and ASI museum. Resume your journey thereafter to reach Puri where on arrival you will check- in to a resort for overnight stay. Evening in Puri will bring a visit to Lord Jagannath Temple whose famous Rath Yatra or chariot festival attracts thousands of devotees each year and its religious fervor makes it one of the must visit holy shrines for every Hindu. Later enjoy a leisurely stroll on sea beach followed by drive back to hotel in Puri. Today’s fun filled drive from Puri will take you to Satapada, the confluence of Chilika Lake and Bay of Bengal. The region is a famous tourist spot known for Irawadi Dolphin Sanctuary and scenic views. Explore the region and enjoy a boat ride in Chilika Lagoon to follow beautiful Dolphins. The day will conclude with a drive back to Puri where rest of the day will be free for your recreational activities at the hotel. A soulful and rejuvenating journey to temple towns and beauteous beaches of Orissa will end today when you will be directed back to Bhubaneswar Airport/ Railway Station for your flight/train back home.